Moms who return to work after maternity leave may have the flexibility to pump breast milk at their place of business. But, as a new survey reveals, women are still concerned that pumping at work could impact their career growth. The survey, which was shared exclusively with Bloomberg from Aeroflow, a breast pump provider, found that half of the 774 women surveyed felt that pumping at work could affect their job. Half of the breastfeeding moms who work also said they have considered a job or career change. Of the women surveyed, nearly 63 percent think there's a stigma attached to moms who breastfeed and work. “Having to step away and pump when you’re at the office can be an isolating experience," Alexis Diao, a producer at NPR with two young kids, told Bloomberg. "You are essentially locking yourself in a room and, in your deepest insecurities, confirming to people that despite your best efforts, you have changed,” Diao said. At NPR, where Diao works, the company has on-site lactation rooms. If you work full time, Mayo Clinic recommends pumping for 15 minutes every few hours during the workday. But as Bloomberg notes in its piece, pumping times may not fit in with a job schedule. Diann Burns, a mother of three and Virginia-based attorney who is also featured in the article, said that a former employer said her productivity lagged when she started breast pumping, just before she was laid off. Phyllis Rippey, an associate professor of sociology at the University of Ottawa, told "Good Morning America" that there's an "incompatibility" between work and breastfeeding. In a 2012 study, Rippey looked at breastfeeding and the impact on women's earnings. 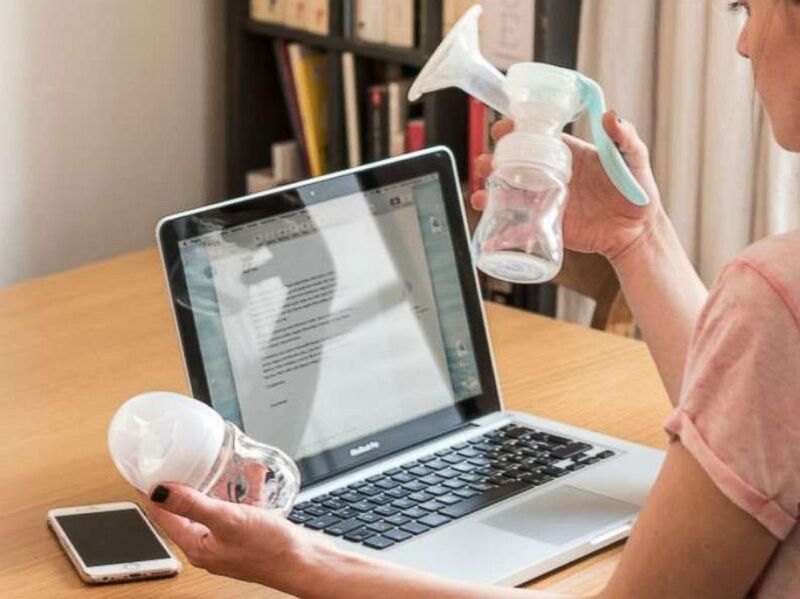 A working mother holding a breast pump is seen in this undated stock photo. "Breast pumping at work could be keeping women in the labor market," Rippey said. 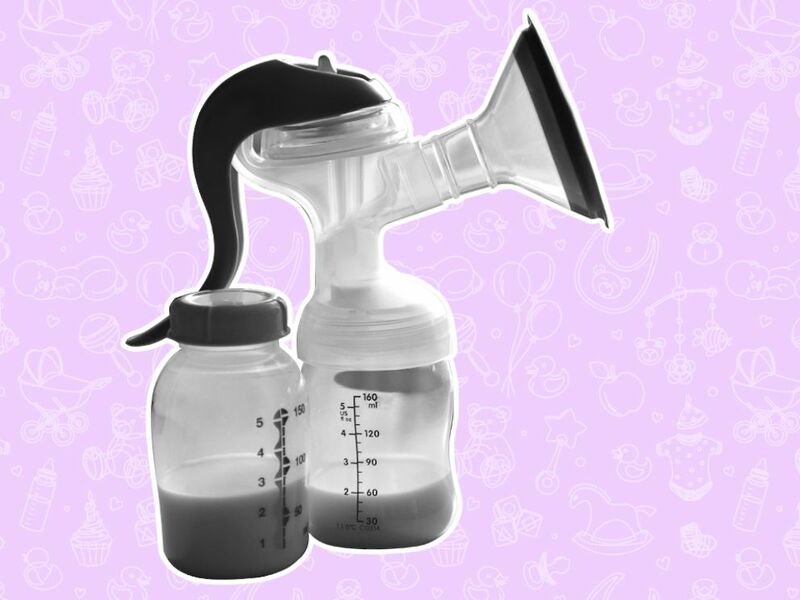 "I think that breast pumps make it possible to work and for women to provide breast milk to their kids, but I don't think it necessarily makes it flexible. I think it definitely has potential negative repercussions for work." "The wages aren't the only thing that matters," she added. "Breast pumps do make it so that women make it to work, but then there becomes less of a sense of providing women with maternity leave." In 2010, an amendment of the Fair Labor Standards Act, known as the Affordable Care Act, requires employers to provide “reasonable break time for an employee to express breast milk for her nursing child for one year after the child’s birth each time such employee has need to express the milk.” The statute states that the space provided for employees to express breast milk cannot be a bathroom. Over 20 states offer laws protecting state-level workplace breastfeeding rights, according to the United States Department of Labor. But not all workplaces have appropriate accommodations for breastfeeding employees, Bloomberg reports. Only 40 percent of women had access to both break time and private space, according to a 2016 study by the University of Minnesota. And women with both adequate break time and private space were roughly two times as likely to be breastfeeding exclusively at six months, the study found. In Rippey's study, those working women who breastfed longer than six months were more likely to leave the labor force as opposed to moms who breastfed less, or moms who formula feed.